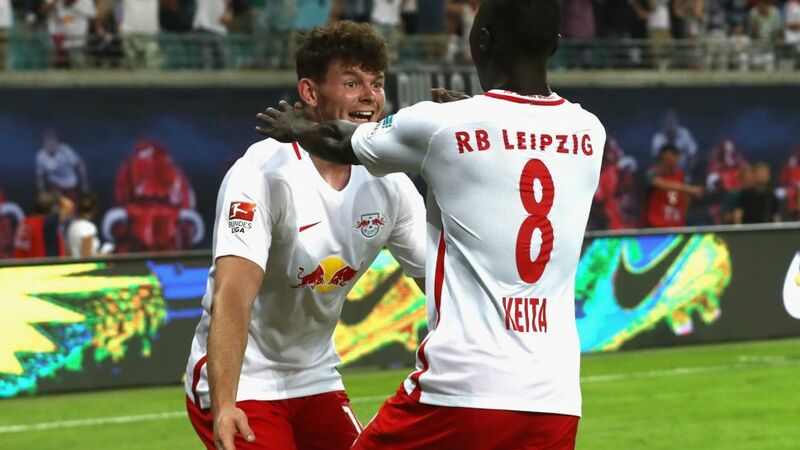 Ten games unbeaten for starters, seven wins included: RB Leipzig have burst on the Bundesliga scene with a vengeance and every passing matchday serves only to intensify the hype surrounding the top-flight newbies, however keen the management might be to dampen unrealistic expectations. Bolster your Official Fantasy Bundesliga squad with RB Leipzig's rising stars here! Remarkable, indeed. Leipzig head into the weekend programme level on 24 points with FC Bayern München, trailing the defending champions and league leaders on goal difference alone. Should they avoid defeat in Friday evening's Matchday 11 opener at Bayer 04 Leverkusen, Ralph Hasenhüttl's young guns will set a new all-time Bundesliga record for an unbeaten start to the season by a freshly promoted side. They will also be out on their own at the top of the table for one night at least, with Bayern playing at Borussia Dortmund on Saturday. Head here for the Bayer 04 Leverkusen-RB Leipzig Match Center! Perhaps most impressive of all has been Leipzig's rate of tactical development, with the counter-attacking style of their opening few games now already supplemented by longer phases of possession football. Throw in an aggressive, high-tempo pressing game as standard and the debutants have been simply too hot to handle for the bulk have their more battle-hardened top-flight opponents so far. The classic 40-point survival target for newly-promoted clubs remains their nominal priority and captain Kaiser is confident that, whatever the level of ongoing puffery outwith the club itself, “We'll put it all to one side and keep a clear head.” Hasenhüttl and his equally meticulous sporting director Ralf Rangnick will see to that – even if, after Matchday 11, they find themselves having to explain what it feels like to be looking down from above on Bayern.